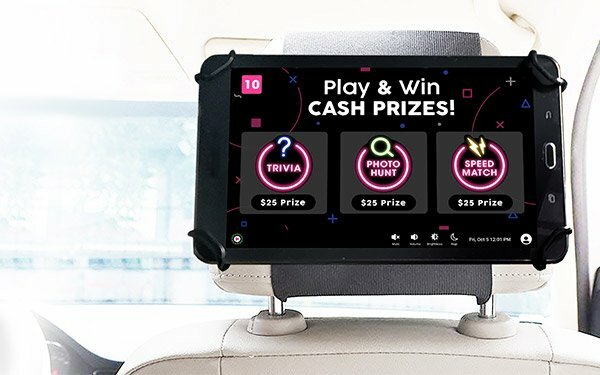 Play Octopus on Tuesday announced that it has made its Octopus platform for interactive screens available to ride-share drivers and advertisers. The content entertains passengers with games such as trivia with cash prizes, and then delivers location-based video ads to an engaged and captive audience. Disney, Sprint, Red Bull, and National Geographic are among the advertisers using the platform in cities such as Washington, D.C, Philadelphia, Boston and New York City. Jim DeCicco, CEO of KITU Super Coffee -- one of the first brands that worked with Octopus -- began testing the platform around June 2018 targeting the brand’s core markets, which match Octopus’ markets. DeCicco, along with brothers Jordan and Jake, appeared on Shark Tank in 2018. And while they didn’t get a deal, the brothers use a section of the clip from the show as part of the advertising strategy on the Octopus media player. The videos only plays when there is a captive rider. It seems to work. Retailers, such as grocery stores, makes up 80% of Super Coffee's business. The remainder is direct to consumers from the brand's website and Amazon. The advertisement, which drive foot traffic into grocery stores, runs daily on Octopus’ digital-out-of-home screens. it allows the brand to collect consumer phone numbers or email address. Consumers will enter the data for a free six-pack of coffee, the promotion in the ad. That data gives Super Coffee, made from healthy fats like Coconut oil, a way to communicate with consumers after their ride ends. “Right now we’re receiving a 400% return on investments,” DeCicco said, adding that the company recently increased the amount spent with Octopus by 300%. DeCicco said the company gets a much higher return on this DOOH platform, compared to more "traditional" paid search and other paid-media platforms, but the company does plan to revisit the combination of search and DOOH. Today, Octopus contracts with more than 5,000 ride-share drivers and adds approximately 1,000 new ones monthly. The company has already begun its national expansion with campaigns in Austin and Houston pre-committed by major brands, and Octopus will soon spread throughout the West Coast, including the Los Angeles and San Francisco markets.